Can You Identify These Crews? These old 303rd BG(H) Crew Photos are unidentified at this point. 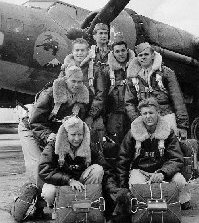 If you can name the crew or any member of the crew, please send your info to glm@303rdbg.com. Click on the image to see the full-sized photo.